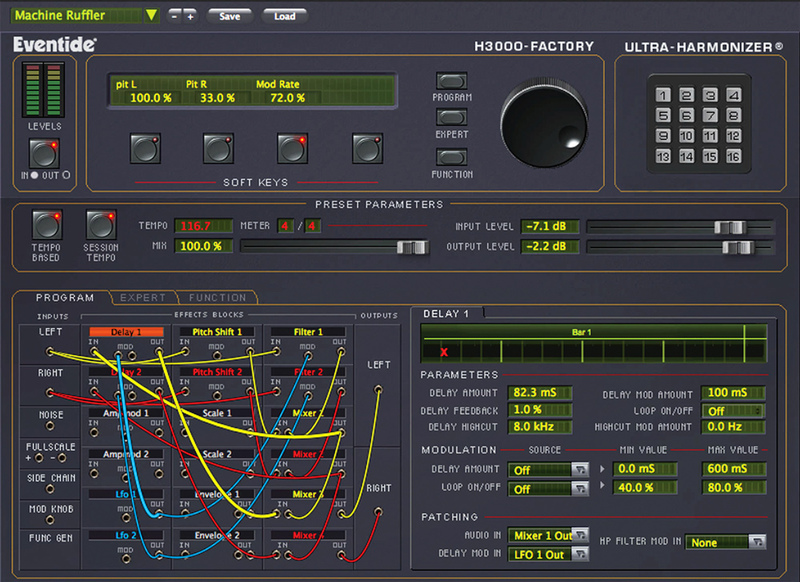 The H3000 Factory plug-in compares very favourably to the original hardware... It's a joy to have these effects available to users of a wider range of DAWs and at a price point which brings it within reach of even moderately serious users. I thought it would be interesting to compare the plug-ins to the hardware they emulate. To be honest, I was not expecting them to be that close in sound, but I was in for a surprise...I was kind of blown away at how alike they sounded after trying several different settings on each processor. It delivered the crème de le crème of delay, pitch and almost anything related to special, time and pitch-based effects...Prepare to be wowed and humbled by this stellar, spot-on, virtual re-creation of the vintage hardware. It faithfully recreates the original’s features while adding such software advantages as the ability to store your patches with your session, instantly sync any parameter to tempo, and automate all buttons and sliders. In short, this plug-in is so valuable because it is so good at so many things. It's a fantastic delay, since you can fine-tune the character and action of the repeats to such a large extent. Chorus, flanging, phasing — it's all in there. ...You’ll be amply rewarded with sounds that transcend the ordinary.